Nearly 88,000 racist incidents were recorded in Britain's schools between 2007 and 2011, the BBC has found. Data from 90 areas shows 87,915 cases of racist bullying, which can include name calling and physical abuse. Birmingham recorded the highest number of incidents at 5,752, followed by Leeds with 4,690. Carmarthenshire had the lowest number with just 5 cases. A racist incident is defined as any situation perceived to be racist by the victim or any other person. In response to the local authority figures, obtained under a Freedom of Information request, the Department for Education said racism needed to be "rooted out". Following the inquiry into the murder of teenager Stephen Lawrence, the previous government said schools in England and Wales must monitor and report all incidents of racist abuse to their local authority. However, the coalition government has changed that guidance and schools now have no duty to record and report the data. Between 2007 and 2010 - the last year that heads had an obligation to record cases - recorded racist incidents in schools in England, Scotland and Wales rose from 22,285 to 23,971. Many areas including Luton, Oldham, Croydon, Bedford and Middlesbrough saw an increase of 40% or more over the period 2007/08 to 2009/10. In Cardiff, there was a 32% increase in cases of racism in schools in that time from 186 to 246. In Aberdeenshire, cases rose by two cases in the same period from 22 to 24 and in Angus from 13 to 16. In 2010/11, when the new reporting guidelines came into force, reported cases of racist bullying fell to 18,996. Sarah Soyei, of the anti-racism educational charity, Show Racism the Red Card (SRRC), said: "Unfortunately, the numbers of recorded racist incidents are just the tip of the iceberg. "Racism is a very real issue in many classrooms around the country, but cases of racist bullying are notoriously underreported. "Often teachers may not be aware of racism in their classrooms because victims are scared of reporting them out of fear of making the situation worse." Christine Blower, general secretary of the National Union of Teachers, said: "These numbers are disappointingly high - we would really hope this is not the tip of the iceberg. "Clearly were would not want any cases of racist abuse or racism in any of our schools." Many local education authorities say that the increase in reported incidents - up until 2010/11 when the guidance changed - is due to better recording methods. However, anti-racism charities say that it is a growing problem in many regions. "We are seeing a real increase in racism in some areas which is down to factors like a growth of Islamaphobia in society which is filtering into classrooms," said Ms Soyei. "Racism towards eastern European and gypsy and traveller communities is also on the increase," she added. Teaching unions say the key to tackling the problem in schools is through education for both teachers and students. Charities have been delivering anti-racism lessons in schools across the country in an attempt to educate young people against racism. But both unions and anti-racism charities fear that the government's new reporting guidance of racism in schools is a mistake. 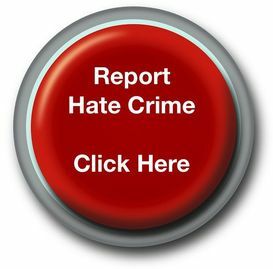 "It is not just a box ticking exercise, we absolutely do need recording and reporting of all racist incidents," said Christine Blower. A spokesman for the Department for Education said: "Racism needs to be rooted out wherever it occurs, and particularly in schools, where every child has the right to learn in an environment free from prejudice." The department defended the change in its guidance for schools. "It is teachers and parents - not central government - that know what is happening in their schools, and they are best placed to deal with racist behaviour when it happens. "We would expect all schools to implement their own processes to ensure they are dealing with racist incidents in the most appropriate way, rather than being bogged down with paperwork from the centre - which can sometimes mean that the most serious cases of racism are not dealt with."